Ahhhh, trust me when I tell you nothing beats a summery Helsinki! I had the chance to spend a few days in the city in the beginning of June with my best friends and my little sister, and we got to enjoy some amazingly sunny and pretty summer days. I have yet to plan & execute my ”perfect day in Helsinki” dream/idea/goal, because I can’t seem to shake off this feeling of having been to the city many times but still never really getting to know it or seeing enough of it. But what I do know is that whenever I get to make my Helsinki dreams come true I better start with an empty belly, as I already know this vacay is going to be mostly about eating, snacking and drinking lots of good lattes! 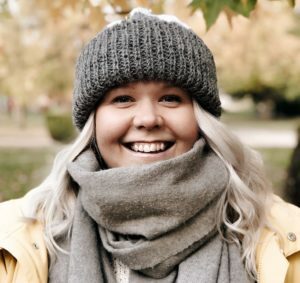 So as I don’t have a absolutely-see-and-do-these-things-in-Helsinki -list ready I thought I could share a little about the few places that I did visit this time around! So let’s start with the pictures above. 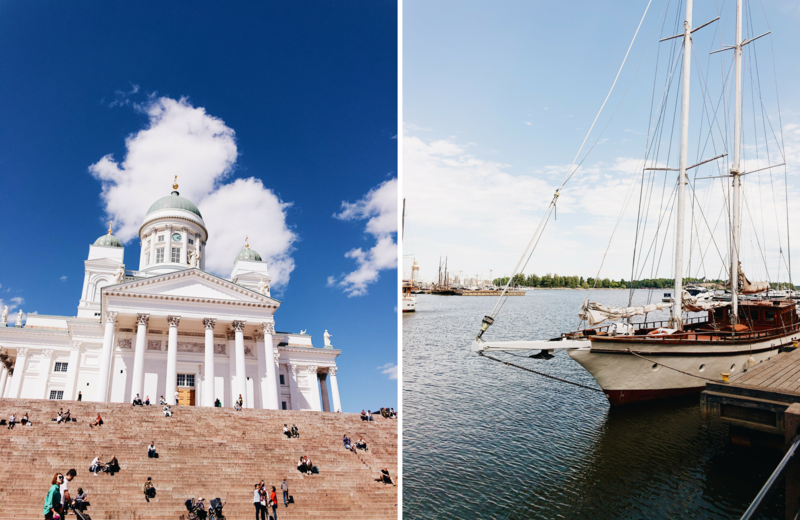 The one on the left is the Helsinki Cathedral and it’s one of the most popular tourist sights in Helsinki – and you just have to agree, it is beautiful! It’s located in the Senate Square, which makes up one of the oldest parts of Helsinki. 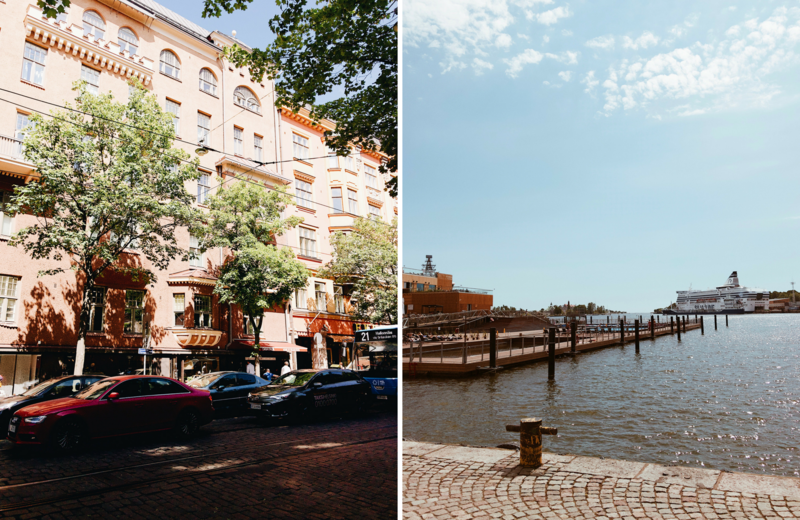 The second picture is from a city area called Katajanokka (more specifically I believe this exact spot is called Kanavaranta) but I’d say it’s located like a 10 minute walk away from the cathedral, so really close. I love how Helsinki is by the sea, and when you combine that to the ahhhmazing architecture all around the city it’s JUST.SO.PRETTY.EVERYWHERE! Obviously, I had a lot of lattes. We went to Paulig Kulma (left) to enjoy their beautiful interior, and get reminded of their barista courses and how I’m dying to take one! But I do have to say that after spending all this time in France I don’t think I’ll ever go back to non-French croissants (that’d basically be like cheating!). After Paulig we went to Johan & Nyström and the latte was delicious, the shop was rustic and pretty but somehow I got this vibe that I’m not cool enough for them if you know what I mean? I’m laughing at myself while writing this but sometimes some places just feel so cool, almost too cool and then you just end up feeling very self conscious about yourself and wonder if maybe I should’ve ordered something more hip and definitely not asked for that caramel syrup! But trust me, I’m pretty sure this is all in my head. Some of the pretty old buildings that you can find all around Helsinki (seriously though, like almost every where you look). 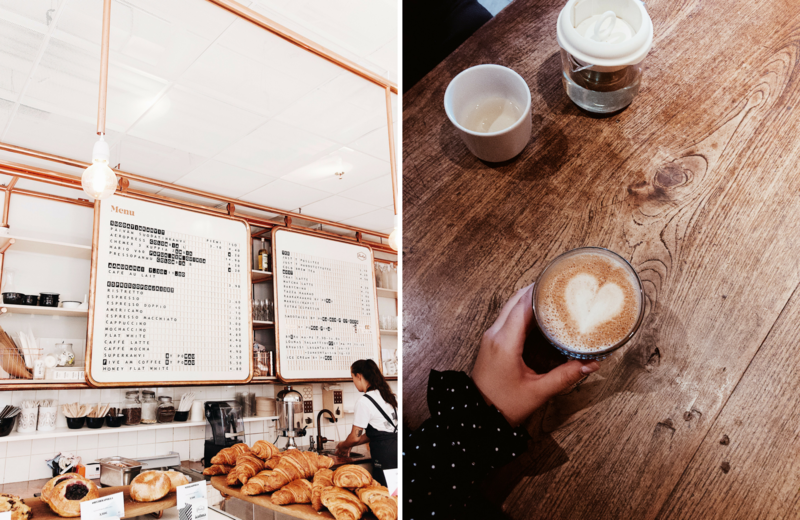 Me and my little sister had breakfast one morning in Kahvila Blossom and we absolutely fell head over heels in love with the place! 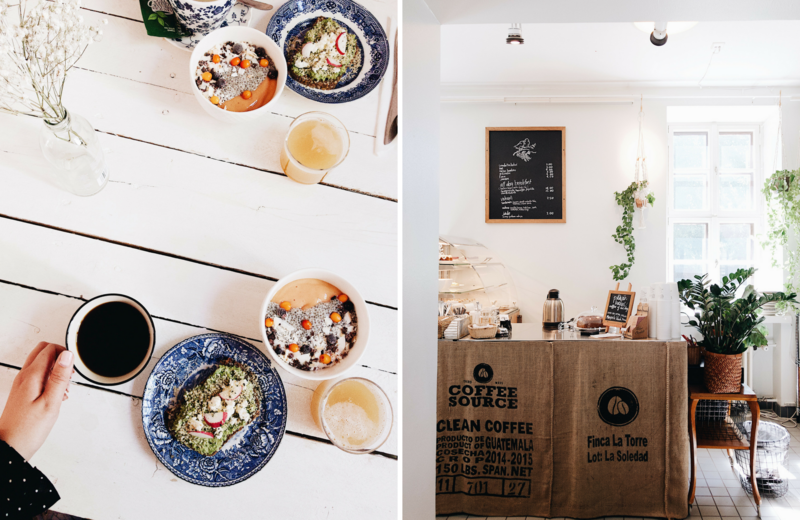 This adorable coffee shop is located in Punavuori and they offer these amazing smoothie bowls (can you believe it’s 2018 and I actually had my first ever smoothie bowl here!) and sandwiches, and the coffee comes from small roasteries. Also, the owner is such a sweet and kind woman and even though it was our first time visiting the shop it felt like we’d been there a hundred times before! Walking back from Punavuori we passed by Bulevardi (left) which is a long, boulevard like street with lots of historical buildings and beautiful parks! The picture on the right is from the Market Square that’s located close to the Helsinki Cathedral and the Senate Square. Here you can see the cruisers that operate between Helsinki and Stockholm, have your ice cream stolen by angry seagulls if you’re not careful and enjoy the amazing Finnish archipelago! So if you ever have a chance to visit Helsinki, do it! Seriously, just do it. 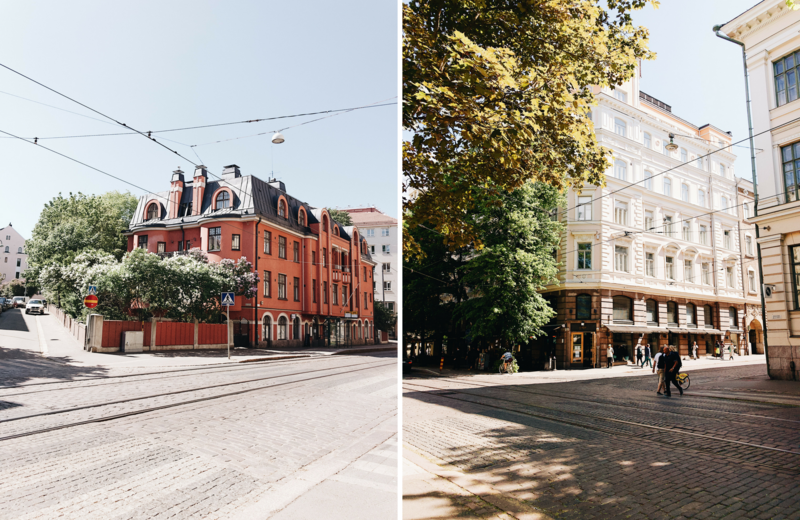 If you need more convincing you should know that Helsinki is also really close to cities like Stockholm and Tallinn, so if you end up in Helsinki you can visit other amazing places and countries as well!